Ohev Shalom of Bucks County has a terrific youth program in combination with Congregation Brothers of Israel, Congregation Tifereth Israel of Lower Bucks County, Congregation Beth El Yardley and Adath Israel Lawrenceville, NJ. 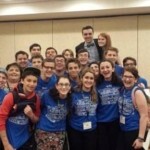 Together we are known as BUSY – Bucks County United Synagogue Youth. Our 3 youth groups provide fabulous opportunities for our children and teens to socialize and experience Jewish life together. 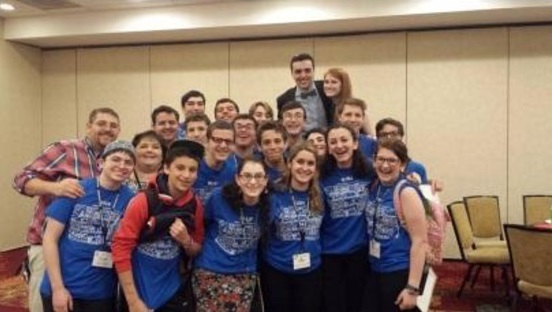 Our USY offers participants a wonderful opportunity to explore their Jewish identity through social, cultural, educational, and social action programming while connecting with Jewish teens across the region. Aliza Feldman is Ohev Shalom’s Youth Chairperson . Please do not hesitate to contact her by calling the synagogue office 215-322-9595 or the religious/Hebrew school office 215-322-9597. Karen Lewin is the Youth Director for Bucks County Jewish Youth. Karen oversees the youth group programs and their advisors. Please contact Karen at (215) 493-1707 x3 or Karen@bethelyardley.org with any questions.